The third Saturday of the New Year will find us visiting archaeological sites in the vicinity of Ft. Huachuca, led by archaeologist Martyn Tagg. We will leave at 8:30 a.m. from the northwest corner of the Houghton Road exit and I-10 East in order to carpool as parking is an issue at the base. 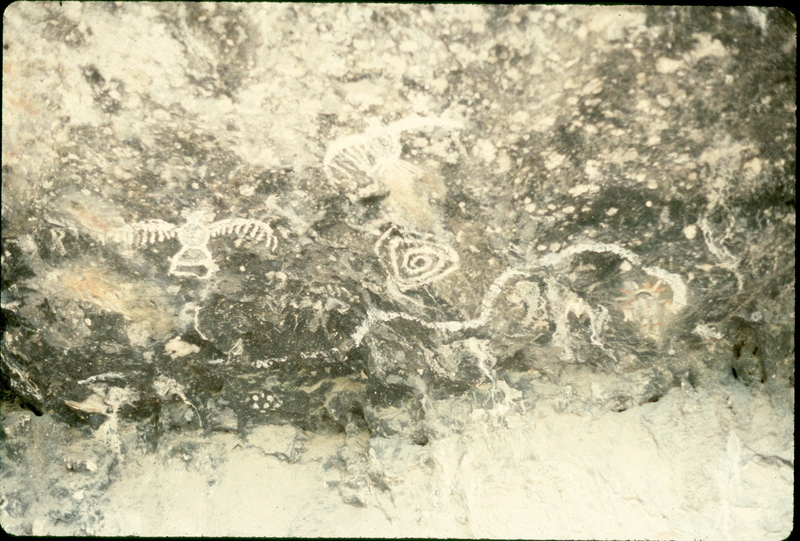 We’ll be visiting sites such as Garden Canyon prehistoric village which is listed on the National Register, pictographs associated with the village, and possibly a bedrock mortar site and historic trash dump depending on time. High clearance vehicles are recommended up the Garden Canyon as the road is not maintained and is very rocky. To get on base, you’ll need a picture ID and for your vehicle, proof of insurance and car registration. We’ll be meeting Marty about 10:00 a.m. to begin our formal tour, which will take the rest of the morning. We can return to the Post for lunch or after lunch (bring sack lunch and water) to give people time to view the Old Post (which has all the original 1880’s buildings) and perhaps one of the museums on your own. We expect to return back to the rendezvous point by mid-afternoon. The tour is limited to 20 participants. Please let me know if you can drive your vehicle. To register, contact Chris Lange or 792-1303. Inclement weather will cancel the trip.